Informed human rights sources said that the Palestinian prisoner Maysara Abu Hamdiya who is receiving chemotherapy at Soroka Hospital for his cancer, is suffering from very serious health condition. Palestinian Prisoners' Society said in a press statement on Sunday that the prisoner Abu Hamdiya is receiving chemotherapy in the hospital under heavy military guard by at least 30 Israeli jailers, who are keeping his hands and feet shackled to the hospital bed. The statement pointed out that the occupation authorities are depriving the patient prisoner Abu Hamdiya from visits, and stressed on the need to immediately release him while ensuring the continuation of his treatment in light of his "extremely serious" health deterioration. Leading Palestinian prisoners in Eshel jail decided to go on hunger strike for several days in solidarity with their prison mate Maisara Abu Hamdiya who was taken on Saturday to the intensive care unit in Soroka hospital. Director of Ahrar center Fouad Al-Khafsh said that 17 leading prisoners from Hamas, most notably Sheikh Jamal Abul Heija, decided to go on hunger strike. Kafsh expected that the prisoners may take further protest steps during the coming days unless the Israeli prison authority has considered Abu Hamdiya's old age and poor health condition and decided to release him. Abu Hamdiya, aged 63, suffers from cancer in his throat and needs intensive medical care outside the prison, according to Khafsh. For its part, the Hamas Movement accused the Israeli regime and its jailers of medically neglecting the prisoner and held them fully responsible for his life. Fuad Al-Khuffash, director of Ahrar Center for Prisoners' Studies and human rights, stressed that the sick prisoners in Israeli jails are exposed to slow death, due to the continuation of the policy of medical neglect against them. Khuffash's statements came during his speech about the serious health condition of prisoner Maysara Abu Hamdiya, who has throat cancer and who has been recently transferred to Soroka prison hospital. The human rights center director denounced the absence of serious efforts to support the prisoners and the official and popular inaction regarding the conditions of the patient detainees and the continuation of detaining the prisoners in Israeli jails for long years. 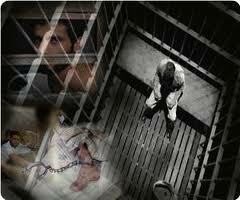 He demanded making more serious efforts to release the prisoners and expose the Israeli occupation crimes inside jails. He stressed that the silence of the Palestinian factions and civil society organizations regarding the captives' issue would encourage the Israeli prison administration to continue its attacks against the prisoners in the occupation jails. The Israeli prison administration keeps stalling the treatment of Palestinian detainee Mohammad Sayara, whose health condition is in a continuous deterioration and is in need of an immediate surgery to protect his foot from being amputated, Sunday said Ibrahim Najajreh, an official in the Ministry of Prisoners Affairs. He told WAFA that Sayareh suffers from inflation in his arteries, especially in his left foot, and that he has suffered from hemorrhage eight times in the past four months which requires a surgery immediately, however, the prison administration keeps stalling his treatment. Sayreh, married with two children and a resident of Hebron, was arrested in 2003 and sentenced for 14 years in jail. Israeli occupation forces (IOF) arrested on Sunday three Palestinian youths from the city of Bethlehem in the southern West Bank. Taha Hamamreh, member of the municipal council in Husan town near Bethlehem, said that the Israeli military forces arrested on Sunday morning, two young men from the town after storming their homes. Palestinian sources reported that the occupation forces have also raided the town of Doha near Bethlehem where they arrested a young man and summoned another to the headquarters of the Shin Bet. Shalala Street and Bab al-Zawiya Street in al-Khalil have witnessed an intensive presence of Israeli soldiers who stormed the town of Halhoul. Meanwhile, two Jerusalemite youths and a child have been arrested by the occupation after raids into their homes in the town of Issawiya in the center of occupied Jerusalem, spokesman for the Follow-up Committee in the town Raed Abu Ryala stated. Abu Ryala pointed out that the three detainees were taken to a detention center in the settlement of Abu Ghneim, southern the occupied Jerusalem, for interrogation. Israeli police arrested on Saturday Palestinian worshipers and students at Al-Aqsa Mosque compound in Jerusalem after settlers broke into the mosque courtyards. Eyewitnesses reported that 280 Israeli settlers raided and desecrated the Al-Aqsa Mosque from al-Magharbeh gate, in the morning hours, which provoked the Muslim worshipers and students and caused a state of tension inside the mosque and in its surrounding areas. Clashes broke out between the Israeli police and the worshipers, and a number of Palestinian civilians were injured, the witnesses said. They added that the policemen attacked Muslim worshipers and the Mosque's guards with electric shock batons and fired at them rubber-coated metal bullets and teargas grenades. One of the guards and a number of worshipers suffered suffocation and were taken to Al-Aqsa Mosque's clinic to receive treatment, while 10 other worshipers were arrested by the Israeli forces. The eyewitnesses pointed out that the Islamic Endowments in Jerusalem has closed the Magharbeh gate for the day, to prevent the settlers from entering the Al-Aqsa Mosque, to celebrate the Jewish Passover. The Israeli police forces, disguised in civilian clothes, arrested on Saturday night, the former dean of Arab prisoners Sidqi al-Maqt, 47, outside his house in the village of Majdal Shams in the occupied Syrian Golan, Arab sources from the occupied Golan revealed. Al-Maqt family confirmed that Israeli police forces have raided in the early morning hours, al-Maqt's house, but they did not find him, where they surrounded the house and waited for him until he came back and arrested him outside his house. 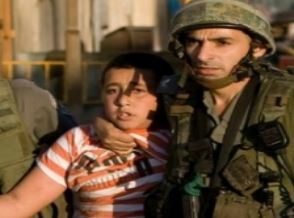 The occupation forces arrested the al-Maqt and another young man with him, while returning to the house, the family added. Arab sources in the occupied Golan stated that al-Maqt's arrest came following his refusal and Golan people's rejection of Israeli league matches being played in the occupied Syrian Golan in an attempt to normalize relations with the people of Golan, who boycott anyone who deals with the occupation authorities. An Israeli court in Nazareth imposed house arrest for 14 days on the liberated prisoner al-Maqt and a fine of 5000 shekels, and prevented him from approaching the football stadium next to his home for 3 months. Al-Maqt's lawyer stated that the Israeli court's decision came following his rejection of an Israeli football match at the stadium next to his house. 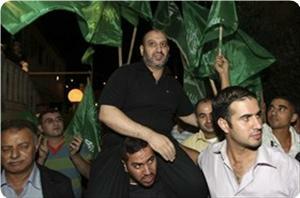 The court accused the liberated prisoner of incitement against the Israeli match. Sedki al-Maqt was released in August last year, after serving 27 years in Israeli jails on charges of resisting the occupation and establishing a resistance movement. The International Committee of the Red Cross declared that Gaza families will resume visits to their relatives in Israeli jails from next week. The spokesman for the Red Cross, Arwa Muhanna, said in press statement on Sunday that the Israeli authorities allowed family visits from Gaza strip starting from next week following several meetings with the International Committee of the Red Cross. The Red Cross in Gaza seeks through the continued contacts with the Israeli side to develop a program of family visits to the Palestinian prisoners, Muhanna stressed. The occupation authorities had informed the Red Cross on March 18 of their refusal of family visits from the Gaza strip under the pretext of the Jewish holidays. The occupation authorities have resumed the family visits from Gaza Strip following the Dignity strike in April 2012, where the Palestinian prisoners in Israeli jails launched a hunger strike for 28 days ended with the Dignity agreement between the leadership of the Captive Movement and the IPS under Egyptian auspices. About five thousand Palestinian prisoners are still detained in Israeli jails including 450 prisoners from the Gaza Strip. The Israeli occupation authorities (IOA) released former minister of local government Issa Al-Jabari after almost two years in administrative detention, without trial or charge. Family members told the PIC that Jabari was released on Sunday from the Negev desert prison and was received by the Jabari tribe along with his relatives, MPs, and friends. They recalled that Jabari was arrested in May 2011 in the latest detention for the ex-minister who spent on aggregate eight years in Israeli occupation jails including six years in administrative custody. Tension prevailed in the holy Aqsa mosque in occupied Jerusalem on Sunday after Israeli occupation forces assaulted worshipers. Local sources told the PIC that the Israeli soldiers escorted 250 Jewish settlers into the holy site and engaged worshipers in fistfights. 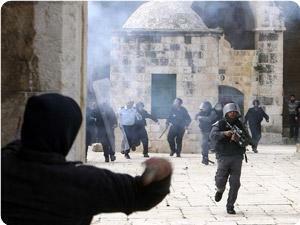 They said that the soldiers used Tasers in their attack, wounding a number of worshipers. 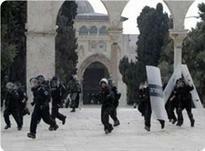 They added that the soldiers detained ten worshipers in the mosque’s plazas. 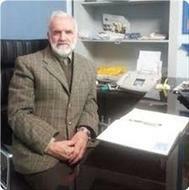 Israeli occupation authorities transferred on Saturday morning the patient captive Maysara Abu Hamdiya, 62, to Soroka Hospital, after the recent deterioration of his health condition. Ahrar Center for prisoners' studies and human rights stated that it received a letter from Abbas Sayed, the head of the senior leadership of Hamas prisoners in Israeli jails, warning that Abu Hamdiya is dying. Sayed stated in his letter, that the health condition of prisoner Abu Hamdiya, who suffers from cancer, has sharply worsened over the past few days, and that the occupation authorities have been refusing to provide him with treatment. Fuad Al-Khuffash, the director of Ahrar center, said that Abu Hamdiya was transferred to Soroka hospital after he fell unconscious at Eshel jail and lost all ability to move. Khuffash warned of the seriousness of Maysara's health deterioration and demanded the occupation to immediately release him without procrastination. The prisoners in the Israeli jails denounced the suspicious silence of the Red Cross and the different international humanitarian organizations, especially the World Health Organization (WHO), which has been letting down the patient prisoners on several occasions. Wa'ed Society for Prisoners and Ex-prisoners confirmed in a press statement on Saturday that a state of tension has been prevailing in most of the jails, and considered the occupation practices against Abu Hamdiya as slow execution. The Palestinian human rights Society held the International Committee of the Red Cross and the World Health Organization (WHO), the responsibility for the deterioration of the health status of the Palestinian prisoner. It called on the United Nations to immediately intervene "to save the life of Abu Hamdiya before it is too late." The Israeli Prison Administration moved ailing detainee Maisara Abu Hamdiyya, 62, to the Soroka Israeli hospital after suffering serious health complications. Israel did not reveal detailed information about his health condition. The Ahrar Center for Detainees Studies and Human Rights, reported that head of the Higher Leadership Committee of Hamas detainees in Israeli prisons, Abbas As-Sayyid, stated in a letter that the condition of Abu Hamdiyya is very serious, and that he is currently dying slowly. As-Sayyid added that Abu Hamdiyya is suffering from throat cancer, and that his health condition witnessed a sharp deterioration over the past few days especially since Israel refused to grant him the urgently needed medical attention, an issue that led to serious complications. He said that what Israel is doing to As-Sayyid is “slow execution”, and added that Israel discriminates between Israeli and Palestinian prisoners as it releases seriously ill Israeli prisoners for medical treatment, but refuses to release Palestinian political prisoners an issue that prevents them from receiving treatment in Palestinian hospitals, or in hospitals in other countries, where their families can be with them. Fuad Al-Khoffash, head of the Ahrar Center for Detainees Studies and Human Rights, said that the condition of Maisara is very serious, and added that Israel is refusing to release him. Al-Khoffash expressed concern that As-Sayyid would face the same fate of other detainees who died in Israeli prisons due to the lack of adequate medical treatment, such as detainees Ashfar Abu Thra’, Zuheir Lubbada, and detainee Arafat Jaradat who recently died due to extreme torture that followed his arrest. More than 204 Palestinian detainees died in Israeli prisons since Israel occupied the West Bank, the Gaza Strip and East Jerusalem following the June 4 1967 war. Most of the detainees died due to torture, medical neglect, while several detainees died after being shot by the arresting officers. Fawzi Barhoum, a Hamas spokesman, lashed out at the Israeli occupation authorities (IOA) for neglecting the treatment of detained cancer patient Maysara Abu Hamdiya. He said that delaying the treatment of Abu Hamdiya was a crime against humanity that was the latest of IOA crimes against Palestinian prisoners. Barhoum, in a press release on Saturday, held the IOA fully responsible for the consequences of such a “serious crime”. The spokesman asked all human rights organizations to end their silence and immediately act to save the lives of thousands of prisoners in Israeli occupation jails. For his part, Tawfik Abu Naim, the head of the league of prisoners and ex-prisoners, warned of the seriousness of the conditions in Eshel prison after Abu Hamdiya’s health condition seriously deteriorated. He told the PIC reporter on Saturday that tension was running high in the prison after internees returned their breakfast meal in protest over what happened to Abu Hamdiya. He said that Abu Hamdiya was in coma and was transferred to ICU, adding that his condition was critical. Palestinian prisoners protested in Israeli jails on Saturday against the continued detention of Maysara Abu Hamdiyeh, who suffers from cancer. Abu Hamdiyeh was transferred unconscious to hospital in Beersheva, Palestinian minister of prisoners affairs Issa Qaraqe said Saturday. Qaraqe told Ma'an that Abu Hamdiyeh's cancer had spread because he had not received adequate treatment. Fuad al-Khuffash, head of the Ahrar prisoners center, said detainees were returning meals in Eshel prison to protest the medical neglect of Abu Hamdiyeh. Prisoners will escalate protests if Abu Hamdiyeh is not released, al-Khuffash said in a statement. Israeli soldiers kidnapped Beit Fajjar town, south of the West Bank city of Bethlehem, and kidnapped one Palestinian child after breaking into his home and violently searching it, the Radio Bethlehem 2000 has reported. Local sources reported that the army kidnapped Omar Anwar Thawabta, 16, for the third time in a row, after more than twenty military vehicles invaded the town. Thawabta was kidnapped two times before and was release on bail. Last week, the army kidnapped 30 Palestinians after claiming that they are members of a cell that belong to the Fateh movement of Palestinian President, Mahmoud Abbas. Israel claims that members of the so-called cell opened fire at Israeli military vehicles and settler cars, and that they planned further attacks against the army and the settlers. The Fateh movement denied the Israeli claims, and said that the allegations are part of ongoing Israeli incitement against the movement and its members in the occupied West Bank, including in occupied East Jerusalem. Clashes erupted on Saturday between Israeli soldiers and Palestinian young men at Qalandia military checkpoint, northern Jerusalem, following the march staged on the occasion of Land Day. Dozens of youths took part in the march, organized on the occasion of the 37th anniversary of Land Day. They marched from Qalandia refugee camp towards the military checkpoint. The confrontations erupted when the Israeli troops started firing tear gas and stun grenades at the demonstrators who responded by throwing stones at the soldiers. Eyewitnesses reported that the Israeli soldiers have also fired stun grenades towards journalists and warned them against approaching the checkpoint. Meanwhile; the Jerusalem Foundation for Development have launched, since Saturday morning hours, works of cleaning and planting hundreds of olive seedlings in different parts of Jerusalem, as part of the Land Day events. Hundreds of Jerusalemites and Palestinians from the 1948-occupied territory participated in the event. When they started their work in lands in the Mount Tur in front of Al-Aqsa Mosque, large Israeli forces arrived and tried to stop them. 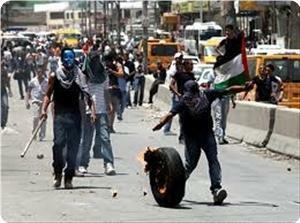 The forces arrested three Jerusalemites. Lawyer Khaled Zabarqa, director of the Jerusalem Foundation for Development, condemned the occupation procedure and said it proves the "tyranny and injustice" of the Israeli occupation. The Israeli occupation authorities held Hamas MP Mohammed Al-Natshe in administrative detention for six months only few hours after kidnapping him from his home last Tuesday. Palestinian human rights sources said on Saturday that five other kidnapped Hamas leaders were similarly held in administrative custody, without trial or charge. They said that each of Abdulkhaleq Al-Natshe, Nabil Al-Natshe, Nabil Shawer, and Jawad Al-Jabari were ordered in administrative detention for six months while Dr. Amjad Al-Hammouri was held for four months. 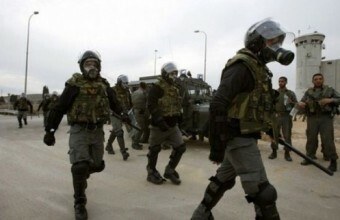 Israeli occupation forces kidnapped those leaders from their homes in a sweeping arrest campaign at dawn Tuesday in Al-Khalil. Israeli occupation forces (IOF) arrested two Palestinian citizens from Jenin and Tobas over the past 24 hours. Local sources said that IOF soldiers manning Al-Hamra road block detained at dawn Saturday a man from Tobas. Other IOF units stormed Fare’a refugee camp and Erqa village, west of Jenin, and combed areas near to the racist, separation wall. On Friday, IOF soldiers in 12 armored vehicles stormed Jenin city and arrested a young man with a pistol in his possession despite having a permit. Local sources said that the soldiers wreaked havoc on the home of Tawfik Abu Mashaykh before taking away his son. 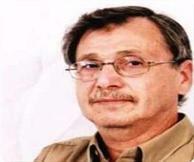 The Palestinian Prisoners Society (PPS) in the al-Khalil district said that captive Maysarah Abu Hamdeyya on Thursday fell unconscious at Eishel jail in Beersheba and lost all ability to move as he suffers from cancer. According to PPS sources a state of unrest prevails amongst the Palestinian captives in Eishel prison because of the deliberate medical neglect of captive Abu Hamdeyya. The prisoners called on all decent people of the world to pressure the occupation to release Abu Hamdeyya who is in his sixties and has cancer. Amjad al-Najar, director of the PPS in al-Khalil, said that Hamdeyya was saying to his cell-mates that he wished to spend whatever time is left of his life with his family before losing consciousness. Najar accused the Israeli prison administration of being vengeful against Abu Hamdeyya who had a long history of struggle against occupation. He held the occupation responsible for the life of Abu Hamdeyya. Palestinian medical sources reported that six Palestinians, including an elderly man, have been injured, and one reporter has been kidnapped, after Israeli soldiers attacked Muslim worshipers who tried to enter the Al-Aqsa mosque in occupied East Jerusalem, to participate on Friday prayers. The Maan News Agency reported that the Israeli army and police prevented Palestinian men who are 48 years old or less from entering the mosque. Medical sources reported that resident Jamal Kabajna, 54, suffered various cuts and bruises in his head, while his son Mohammad, 18, suffered various cuts and bruises in addition to fractures in his left arm and right leg; both were moved to a local Palestinian hospital. Also, resident Mahmoud Abed Abu Nee’, 81, suffered a fracture in his foot and a fracture in his pelvis after a number of soldiers pushed him around and threw him onto the ground. Three more Palestinians were injured after Israeli policemen attacked them with batons near one of the gates of the Al-Aqsa mosque. Waleed Feerawy, a medic working for the Palestinian Medical Relief, stated that three Palestinians have been injured after being violently attacked by the police, and that one of them lost a finger after a police barrier fell on his hand. Another Palestinian suffered a dislocated knee after being beaten by the army, while another resident was injured in his chest; all were hospitalized for treatment. Furthermore, a cameraman identified as Mohammad Al-Fateh Abu Sneina, 22, was kidnaped and was moved to an interrogation facility. Dozens of Policemen have been deployed in different parts of occupied Jerusalem, especially the Old City and the Al-Aqsa Mosque area, stopped and interrogated dozens of Palestinian youths while inspecting their ID cards, and prevented all Palestinian below the age of 50 from entering the mosque. Thousands of Palestinians performed Friday prayers in the streets of the Old City, especially near Bab Al-Amoud, Wad Al-Joz, and several other areas, and took pictures of dozens of residents. Family of captive Ashraf Mousa Halaiqa, held in an Israeli jail, appealed to human rights and humanitarian organizations and media to save their son, who was transferred to hospital after deterioration of his health condition. The family expressed on Thursday morning real concern about the life of Ashraf and feared he might meet the same fate of prisoner Arafat Jaradat, who died in the occupation jails. Ashraf, 27 from the town of Shyoukh in al-Khalil, was arrested by the occupation authorities at dawn Sunday, and was transferred to interrogation dungeons. He suffers from an injury in one of his legs which he had sustained in a car accident some time ago, and is taking many types of therapeutic drugs. The prisoner's family said that Israeli soldiers raided on Wednesday night their house and demanded that the family hand them over Ashraf's medical reports and medicines. A responsible officer in the Israeli army told the family on Thursday morning that Ashraf was taken to an Israeli hospital, and is receiving treatment there. Israeli Occupation Forces suppressed a Land Day peaceful march in Lituania area, south of Yatta in the West Bank and arrested one of the international activists. The march has launched in the afternoon, with the participation of dozens of Palestinian residents and international activists on the occasion of the Land Day. The participants protested against the continued land confiscation by Israeli authorities. The Israeli Occupation Forces continued to impose house arrest on an elderly patient from Jenin after her arrest while visiting her son on 11 February. The Israeli military court imposed house arrest on Hajja Fethiye Khanfar, 58, at a house in Rahat city in 1948-occupied territories, said Yousef Khanfar, the prisoner's husband. He added that the occupation authorities released her on 18 February, on bail of 30 thousand shekels, and imposed on her house arrest in the village of Rahat within 1948-occupied territories until the court session on 14 April. Concerning her health condition, the husband confirmed that Hajja Fethiye suffers low blood pressure, bowel problems and being overweight, and that she has already undergone several surgeries. The occupation forces accused her of smuggling mobile phones to her son who is serving a 15-year sentence in Israeli jails. He added that the court's decision forced her to live with a guarantor from 1948-occupied territories and to sign twice a week, Sundays and Wednesdays, at the nearest Israeli police station despite her difficult health condition. Ahrar center for Prisoners studies and human rights denounced the occupation procedures punishing the families of Palestinian prisoners and preventing them from traveling. The center's director Fuad Al Khuffash said that the Israeli occupation authorities have prevented on Wednesday the mother of the prisoner Israr Al-Barghouti, from Cooper town near city of Ramallah, from travelling to perform Umrah in Saudi Arabia. Khuffash said that when Suad Al-Barghouti, 58, arrived at the Jordan bridge, after passing Jericho, the Israeli intelligence stopped her and took her passport. She waited for hours, and then she was informed that she is banned from traveling because her son is a captive. Khuffash demanded the Israeli occupation to halt such attacks that violate the freedom of movement and travel, for flimsy reasons. 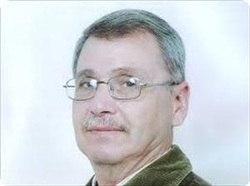 Prisoner Israr Al-Barghouti was detained on 26 January 2008, and sentenced to 15 years. Israeli Occupation Forces (IOF) arrested at dawn, a youngster from Jenin, raided a prisoner's house and took pictures for buildings and streets in the city. Security sources told Palestinian official news agency WAFA that Israeli forces arrested 23-year-old Rami Nahar al-Sa'di after they raided his house in the eastern neighborhood in Jenin. 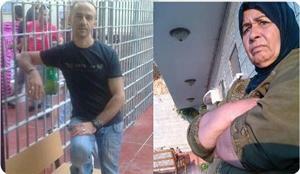 The forces also broke into the house of prisoner Samer Tawfiq Abu Mashayekh, searched it and rummaged with the contents. The sources also said that Israeli forces raided several neighborhoods in Jenin and took pictures for several buildings and streets in the city.